114 million people in 1,600 language groups are still without a Bible in their language. 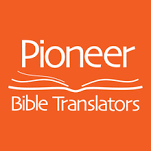 The Journey has connected with Pioneer because we also have a heart for the Bible being “the best missionary.” But this “missionary” doesn’t just appear out of the blue. It must be translated by people who learn the language, know biblical languages, and painstakingly translate each book, each chapter, each verse, each word. It’s a year’s long process in each language.